Kate and Oli: Cart-Worthy + Heart-Worthy: Arrows! I don't know if it was The Hunger Games craze or just that arrows are an iconic, classic symbol of bravery and justice, but I am loving them lately. In jewelry, art, even fabric - they've captured my imagination. 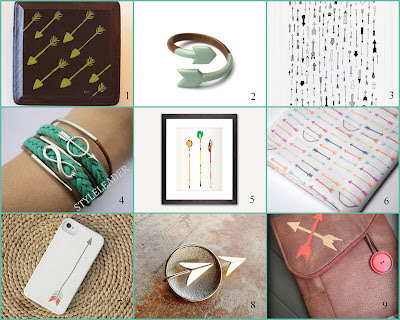 Here are a few of my latest Etsy favorites. I love the arrow finds! I think for me my arrow obsession is part Hunger Games and part the fact we just moved to Oklahoma. Maybe some native american influences. Thanks for including my iPhone case! Hi Katie! Thanks for the shout out! I can see I'm in good company, you picked a lot of great arrow finds. Thank you, Katie, for picking my painting! I also have that ring next me hearted on etsy. This is a beautiful collection. Awesome finds! Thanks so much for including my Warrior ipad cover. These look really cool. 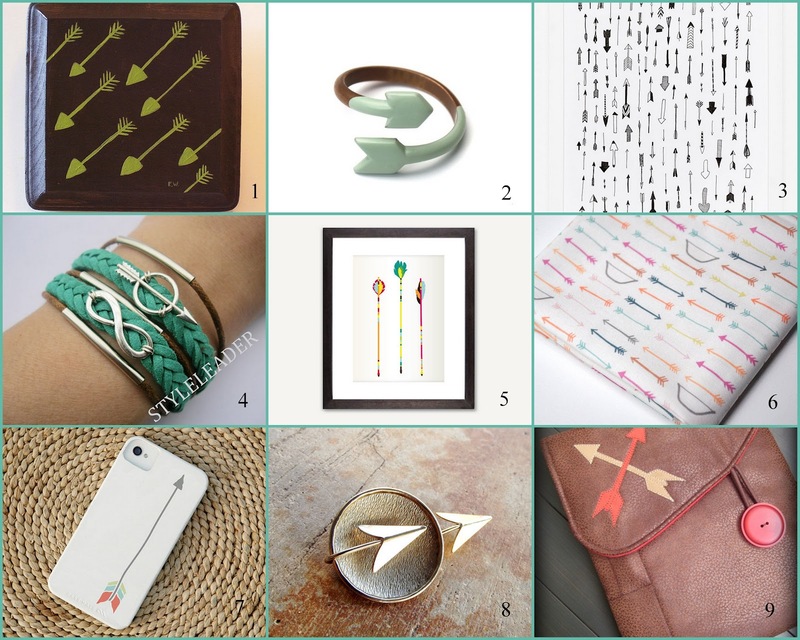 Arrows are a great accessory, I especially like the arrow wrist bracelet find! Sneak Peek: La Bella Italia!